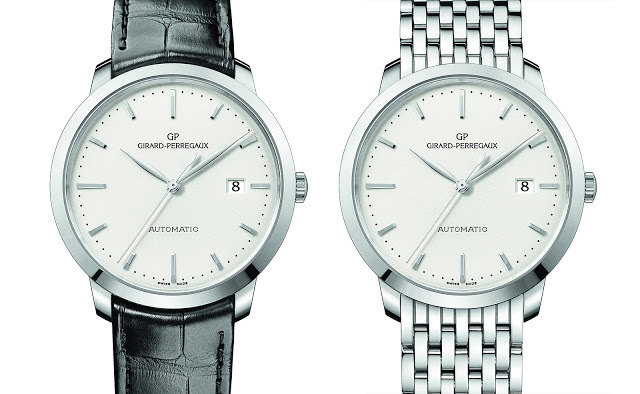 As CEO Antonio Calce outlined in a revealing interview that took place in September 2015, Girard-Perregaux is going to offer more entry-level timepieces, the first of which is the newly introduced 1966 automatic in stainless steel. 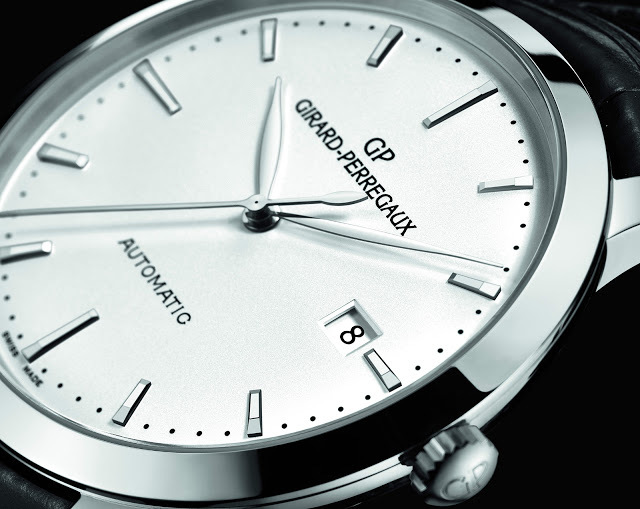 Starting at US$7500, the 1966 in steel is the most affordable wristwatch Girard-Perregaux offers. Best known for its signature Tourbillon with Three Gold Bridges, Girard-Perregaux is a long-established movement manufacturer so despite being entry-level, the new 1966 still features the same in-house movement that’s found in its pricier, precious metal cousins. 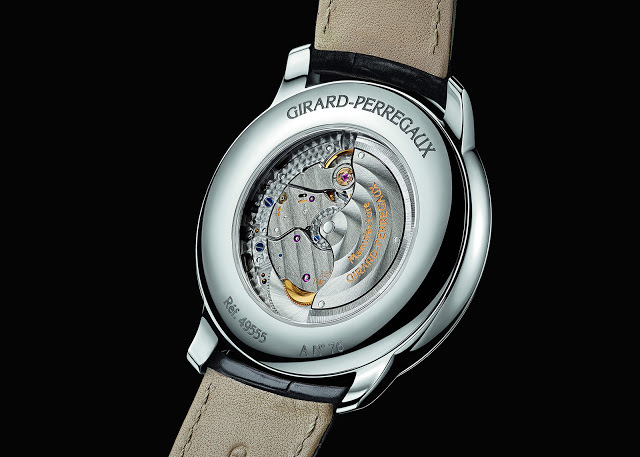 First introduced in the 1980s, the automatic calibre 3300 is Girard-Perregaux’s most widely used automatic movement, being both slim and reliable. The 1966 in steel has a 40mm steel case that’s a slim 8.9mm high. Typical of the 1966 line, the dial is functional and restrained, with leaf-shaped hands and baton indices. The new 1966 will be the first of several models in steel, who hinted in our interview that it will be eventually joined by other models featuring “moon phase, annual calendar [and] with diamonds for the ladies”. The new 1966 in steel is priced at US$7500 or S$11,200 for the version on a leather strap, while the model with a steel bracelet costs US$8200 or S$12,200. 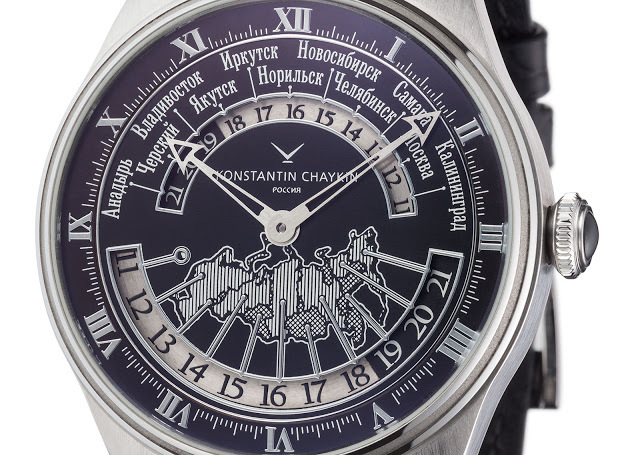 Russian independent watchmaker Konstantin Chaykin introduces a wristwatch that shows all 11 time zones in Russia simultaneously. The largest country in the world, Russia has 11 time zones – all of which can be conveniently read on the dial of the Russian Time wristwatch by independent watchmaker Konstantin Chaykin, best known for his spaceship inspired Lunokhod Bulat. Each of the time zones can be read according to city names representing each time zone, or by a map of Russia. Central hour and minute hands on the Russian Time wristwatch show local time anywhere in Russia, while the other 10 time zones can be conveniently read off the displays on the top or bottom half of the dial. Because each time zone is one hour from the next one, the time zones progressively advance in one hour intervals across the country. This is shown geographically with a Russian map at six o’clock, with the time zones corresponding to each area of the country outlined and shaded. At 12 o’clock the time zones are denoted by the names of major cities in each time zone: Moscow, Chelyabinsk, Norilsk, Yakutsk, Chersky, Samara, Kaliningrad, Novosibirsk, Irkutsk, Anadyr, and Vladivostok. Because the two time zone discs are synchronised with the hands, advancing the time will also change the time zone display correspondingly. Chaykin’s inspiration for the Russian Time wristwatch was the world time clock at the Peterhof Palace in Saint Petersburg, built by Russian clockmaker Ivan Yurin in the 19th century. It features numerous sub-dials showing the time across the old Russian Empire, including cities and time zones that are no more. 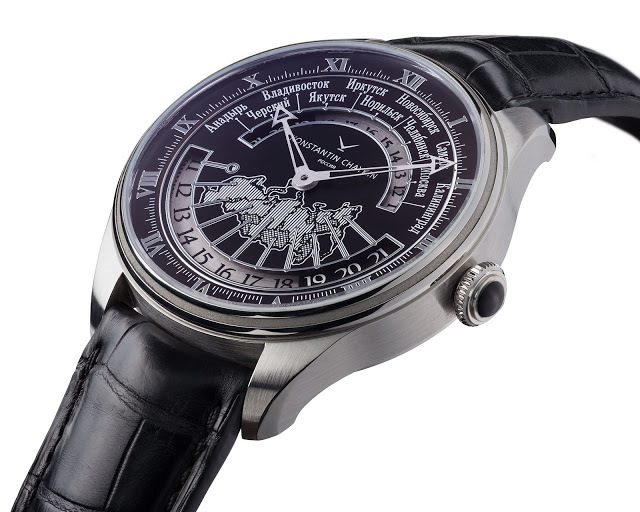 The Russian Time wristwatch is stainless steel and 44mm in diameter. It’s powered by the calibre 01-7, a manually wound movement developed in-house by Chaykin, who manufactures most of his movements in his own workshop. His repertoire includes complex calibres like the one that powers the Cinema wristwatch that features a miniaturised motion picture projector. 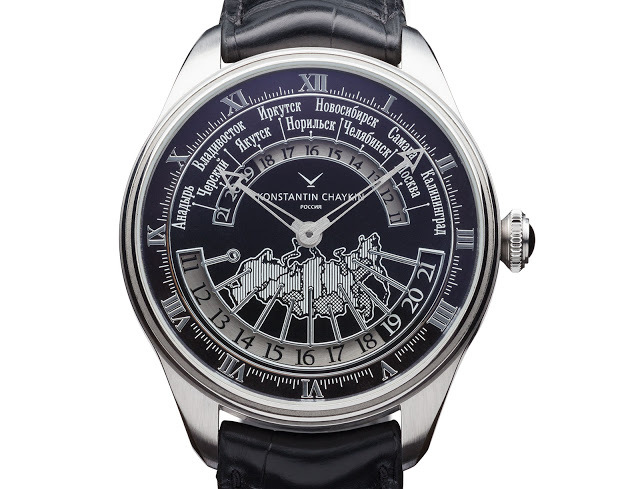 The Konstantin Chaykin Russian Time is priced at US$13,750.